Check out how the audience reacts to Shah Rukh Khan and Anushka Sharma’s recently released film Jab Harry Met Sejal, directed by Imtiaz Ali. Bollywood stars Shah Rukh Khan and Anushka Sharma starrer Jab Harry Met Sejal has released today at the Box Office. The superstar is back again with yet another love story. Last time we saw Shah Rukh Khan in a role with grey shades in his last film ‘Raees’. Now the actor is back with the tag of ‘King Of Romance’ with Jab Harry Met Sejal opposite Anushka, which happens to be their third film after Rab Ne Bana Di Jodi and Jab Tak Hai Jaan. The film is making a lot of buzz since its announcement and is predicted to be a huge success at the box office. From the mini trails to songs, each and everything has been well said and written about the film. The music album of ‘Jab Harry Met Sejal’ consists a varied range of music tracks that please each and everyone. The unique style of launching songs and trailer had garnered quite some attention, thanks to its unique promotional strategies. The promotions of the film have been done in the every corner of the country, which has only managed to hype the craze for Jab Harry Met Sejal. In fact, just two days before the release, the makers of the film managed to keep the hype and craze among the fans by releasing their new song ‘Phurrr’ that features the Grammy Award-winning American composer DJ Diplo. 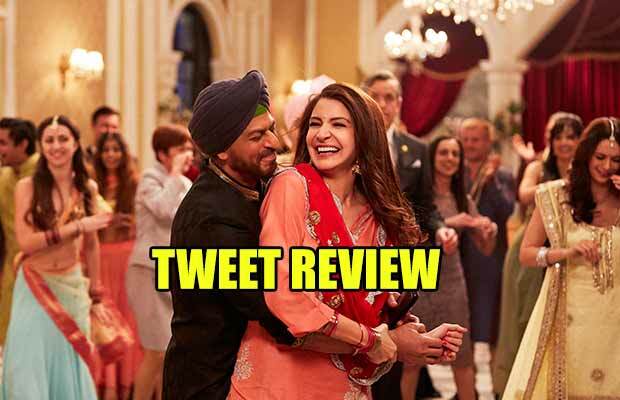 Well, the songs and trailer of Jab Harry Met Sejal have been loved immensely by the audience, but could the film manage to live up to audience expectations? Could SRK and Anushka’s sizzling chemistry manage to flatter the audience? #JHMS review: Fresh & Delightful new gen Romcom. For those who enjoy pleasant comic & romantic flicks. It’s Anushka & Sharukh all the way.!! 1st Half Of #JHMS Done , Trust Me Still My Face is Me And My Friend Are Family A Happy Family Movie ,Comedy + Romance + emotions = ????? Its interval while watching #jhms #JabHarryMetSejal and it is boring. Movie is going nowhere. If tamasha was bad, this is worse . Written and directed by Imtiaz Ali, ‘Jab Harry Met Sejal’ is an Indian romantic comedy starring Shah Rukh Khan and Anushka Sharma in lead roles. The story revolves around the two and their adventures across Europe to find Sejal’s (Anushka Sharma) engagement ring. A search for Sejal’s engagement ring makes Harry (SRK) understand love and relationships better. Sejal experiences new found freedom, security, and solace in Harry’s company. And in between all of these, there is love, life, lies. thrill, fantasy and much more. Previous articleRanbir Kapoor’s Muscled Look From Sanjay Dutt Biopic Will Shock You! Next articleJab Harry Met Sejal: Shah Rukh Khan Now Has A Paan Named After Him And You Won’t Believe What Happened Next!